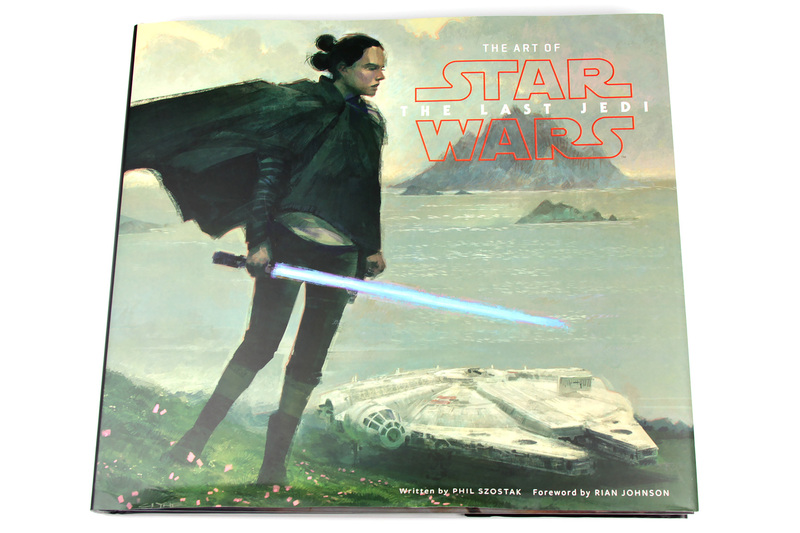 The Art of Star Wars: The Last Jedi continues the tradition of Star Wars film tie-in “Art Of” books, bringing us a lavishly illustrated exploration of the concept and design work behind Episode 8, spread across 256 pages and bound in a hardcover format. The Star Wars “Art Of” books are designed to give us insight into the development of character’s appearances, environments, beasts, and vehicles. 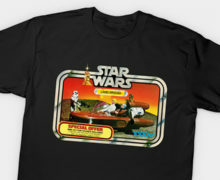 They show us alternate interpretations of what could have been, and why the final versions of Star Wars things aplenty are the way they are. 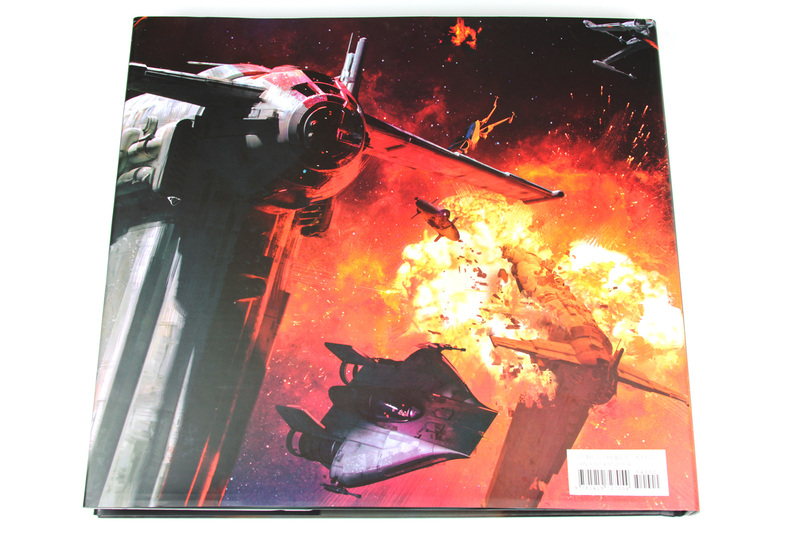 In parallel to all this, they also simply give us wonderful art to absorb and enjoy – The Art of Star Wars: The Last Jedi is full of sketches, colourful digital and physical paintings, and full-bleed, full-page (and occasionally, double-page) panoramic spreads. 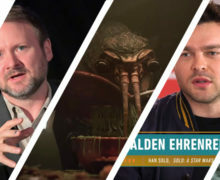 The book features an introduction by The Last Jedi director Rian Johnson, and an introduction by its author, Phil Szostak. Szostak also wrote The Art of Star Wars: The Force Awakens. It pays credit to the 80+ strong team of artists involved in the development of the Episode 8 aesthetics, and includes art from many within that team, containing 300 colour illustrations in total between its covers. The sequence of content within the book parallels that of the movie. Each chapter takes a look at a different character or environment as they are introduced to the audience. Rey and Luke’s first encounter. The contents of the Jedi library tree, and the symbolism of the Jedi pool within the ancient temple. Kylo Ren, Snoke, Praetorian Guards. There are chapters for Finn’s awakening on the Rebel fleet ship, Rose and her simple but cherished jewellery. The complex elegance of Canto Bight is explored in depth, as is the imposing grandeur of Snoke’s ship and the First Order fleet. My personal favourite chapters are those that look closely at the Resistance military – the bombers, the flight suits and personalised helmets, the raw functionality of it all… these were my amongst my favourite scenes in the movie too. 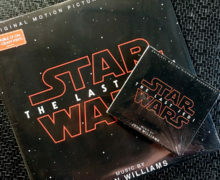 The Art of Star Wars: The Last Jedi is rounded out with a tribute to Carrie Fisher, of sorts, with a chapter on “The Unsinkable Leia Organa”, which precedes the penultimate and closing chapters entitled “A Line in the Salt”, and “Binary Sunset” respectively. This is a book that can be enjoyed directly by appreciating the meticulous artwork in its own right, but also secondarily through the stories implied in the artwork and explicitly described in the accompanying narrative. It is a solidly bound book measuring 300mm x 275mm x 25mm, containing a depth of content that the reader can come back to time and time again to find new and interesting trivia and detail with each re-visit. This style of book is one I really enjoy having in my library, and one I have no hesitation in recommending to fellow Star Wars fans. The Art of Star Wars: The Last Jedi explores their vision and illuminates their creative process in stunning detail. Featuring concept art and costume sketches, storyboards, and blueprints, fans will take a deep dive into the development of the fantastic worlds, characters, and creatures—both old and new—of The Last Jedi. Featuring unforgettable art and exclusive interviews with the filmmakers, this visual archive highlights moviemaking magic at its finest. 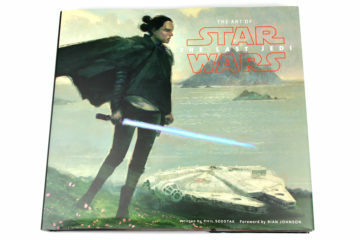 The Art of Star Wars: The Last Jedi is available from Mighty Ape: hardcover, $49.99.